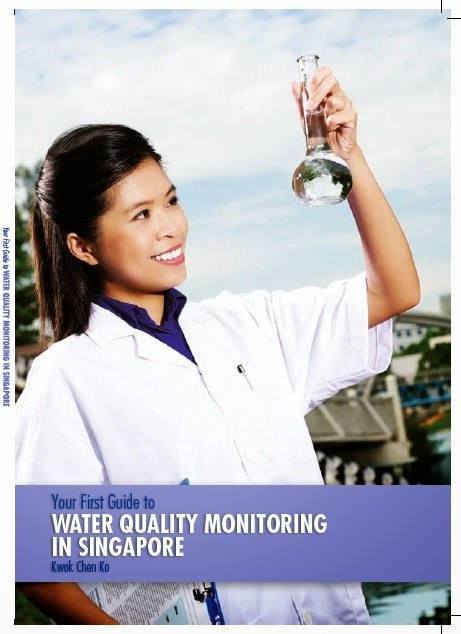 Water Quality in Singapore: How to reduce flooding in Singapore? Harvest more rainwater! 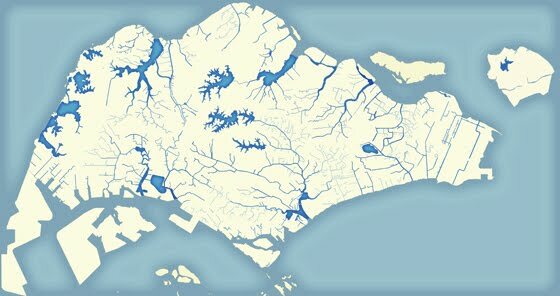 How to reduce flooding in Singapore? Harvest more rainwater! 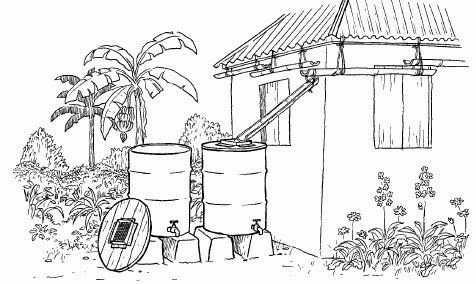 Harvesting of rainwater may sound foreign to most of us even though this term is commonly used in other countries. It simply means collection and storage of rainwater. It may be on an individual, residential, community or even national basis. Actually, Singapore has been harvesting rainwater for a long time on a national basis. From PUB's webpage, two-thirds of the land area here is available for rainwater catchment (Yes, right, "catchment" is more commonly used here). Is so much of our area covered by reservoirs? NO! It means that land (residential, industrial, recreational, waste etc.) is used to funnel all that rainwater into reservoirs. For example, rainwater falls on rooftops, flows into drains which lead into canals, ultimately joining up with a reservoir. Because of the flash floods in June, everyone now knows that Orchard Road is part of the catchment area for the Marina Reservoir. Talk about practical environmental education. Indeed a very clever system to alleviate the shortage of water in this densely populated island. However, it suffers from a few drawbacks. One, in times of heavy rainfall, no way will the reservoirs be able to hold so much water. The natural thing to do is to drain the excess into the sea. (E.g. the Marina Barrage is well touted to be able to do this in the event of heavy rains.) This of course means a waste of fresh water. AND IF the excess CANNOT be drained (e.g. blockage of some water way), flooding will result. In the (good?) old days when Singapore is still a tropical jungle, most rainwater will be soaked up by the vegetation and soil. But with the increase of built-up area, we no longer have such a luxury. Most rainwater will flow over the ground surface straight into drains and canals or perhaps accumulate in some low lying area as a flood. Another challenge of open reservoirs like ours is the loss of water through evaporation. In the dry months, the water level in the reservoirs drops not only because of the lack of rainfall but also through the above mentioned loss. This article predicts that the rainwater harvesting (RWH) markets in Europe and India are set to experience high growth rates in the coming years due to a rising fresh water shortage. More RWH systems will be installed at the residential, commercial and industrial levels. Guess what? This is nothing new in Singapore! Changi Airport has such a system. Nanyang Polytechnic has one too. The airport is reported to satisfy one-third of its water demands in this manner, saving $390 000 per year. Such water is normally collected on the roof-top and undergoes minimal treatment for non-portable use e.g. toilet flushing, firefighting drills, watering of plants. Imagine... if we have more of such systems, not only will our reservoirs be less stressed in times of heavy rain, there will also be less loss of precious fresh water through evaporation. If your interest has been piqued, how do you set up a RWH system. SIF Technologies is selling a "chemical free RWH system". 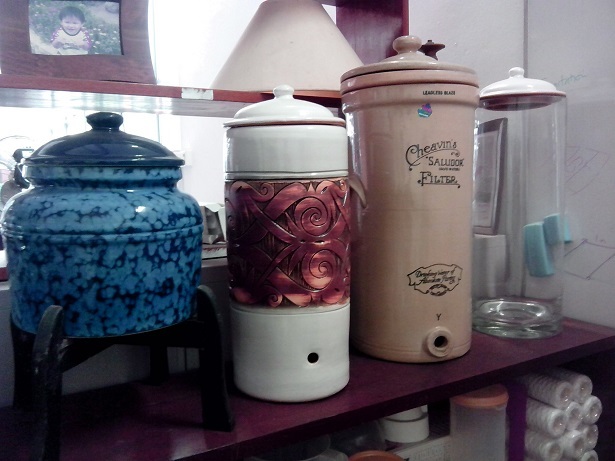 Chemicals are sometimes added in conventional water storage to discourage microbial growth. (Chlorine in PUB water does this job.) In the case of SIF, they are using a proprietary non-chemical means to do the same thing. But RWH can be simple and cheap. Consider this 3rd world method of RWH. However, remember to always discard the first 10min of so of rainwater as it may contain pollutants from the air or your roof-top. Oh, before you rush out to install a RWH system, here is an extract from Singapore Law. 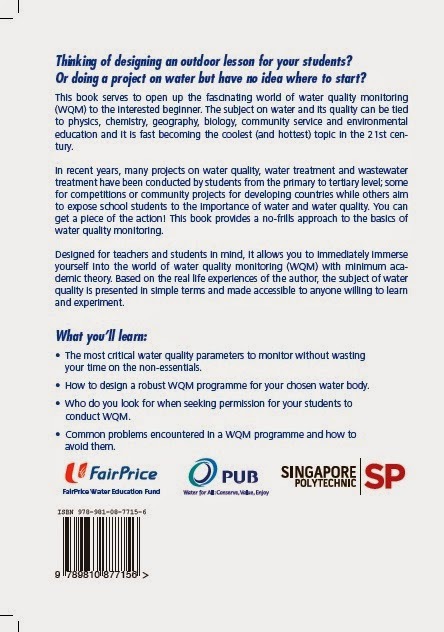 No person shall, without the approval of the Board (PUB), construct any works for taking or intercepting water from any place or sea, within the territorial limits of Singapore. However, I believe the law has been relaxed for residential installation provided the storage tank is less than a size of 5x2x2m. Anyting bigger will require a water-borne fee to be paid. But if you are planning a system for your company or school, you still have to go through the bureaucracy for permission. One last point, check out the guidelines for collection of rainwater at NEA.